-This should've been a night where the Heat take care of business early and get ready for the next game. -The Heat blew a 15 point lead in the second quarter. They were being too careless with the ball and the Bulls were doing a great job of exploiting the mismatches. The Bulls big men Markkanen and Robin Lopez each finished with 20+ points. -It got even worse in the third quarter. The Heat kept missing shots and played lazy defense. 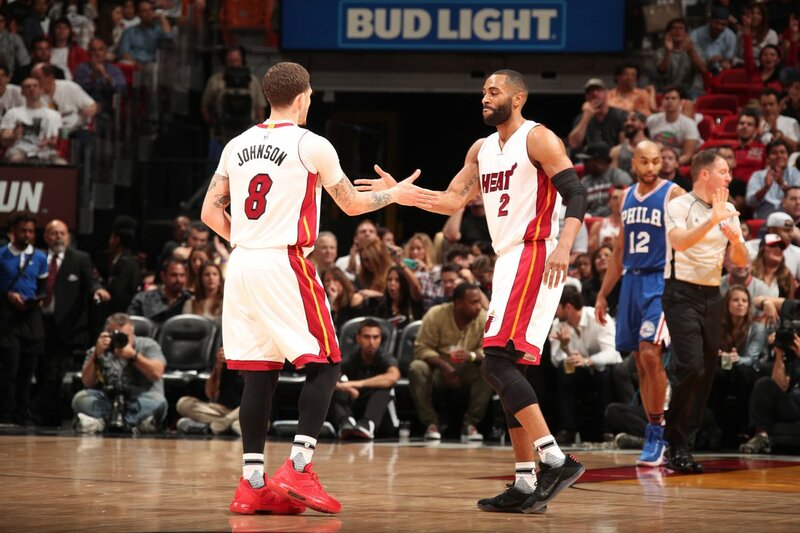 -But then, Tyler Johnson provided energy off the bench in the second half. After a two point first half, Tyler Johnson scored a much needed 17 points in the second half. Led by Johnson, the Heat went on a 10-1 run to close the third quarter and never looked back. -With Kelly Olynk in foul trouble, Spo inserted Bam Adebayo in the third quarter with 1:01 left. The rookie played well in his 13 minutes. Now that Hassan's back, we'll have to see if he can find playing time. -Josh Richardson had his second straight quiet night. He shot 1 of 7 from the field and spent most of the fourth quarter watching from the bench. -The Heat were happy to have it's starting big man Hassan Whiteside back. They clearly missed him these past five games. Especially his rebounding. Whiteside had 9 of his 14 rebounds in the first quarter. The big man finished with 13 points and 14 rebounds in 26 minutes. -As expected, after missing two weeks, he was fatigued. -Whiteside also attempted and made his second three pointer this season. He's now 2/2 for the season. -Instead of Kelly Olynyk, the team went with Okaro White to replace James Johnson, who was out with a knee injury. -The team will begin it's tough six game road trip in Denver on Friday.